The world’s best aerobatic pilots will fly against the clock at speeds of 230 mph just 60 feet above the IMS infield, twisting and turning through a circuit marked by inflatable Air Pylons. This is the fourth consecutive year that the world’s most prestigious aerobatic racing series will compete at IMS, and the event is the only North American round of the championship on the 2019 schedule. 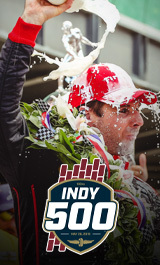 Tickets will go on sale Friday, Feb. 1 at IMS.com. Aerial action once again will feature two classes of competition, the elite Master Class and the Challenger Class. Martin Sonka of the Czech Republic is the defending series champion, while Michael Goulian of the United States will try to repeat his dramatic victory from last October at IMS. Two-time World Champion Kirby Chambliss also will return to represent the United States in the Master Class. Rookie Sammy Mason will join veteran Kevin Coleman to double the number of Americans flying in the Challenger Class. Mason, from Santa Paula, California, turns 25 on Feb. 3 and is the youngest pilot in the history of the series. The 2019 Red Bull Air Race World Championship opens Feb. 8-9 in Abu Dhabi. Other rounds will take place June 15-16 at Kazan, Russia, July 13-14 in Budapest, Hungary, Sept. 7-8 at Chiba, Japan, Oct. 19-20 at IMS and Nov. 8-9 in Saudi Arabia. Dates for two additional rounds, one each in Europe and Asia, will be announced soon.